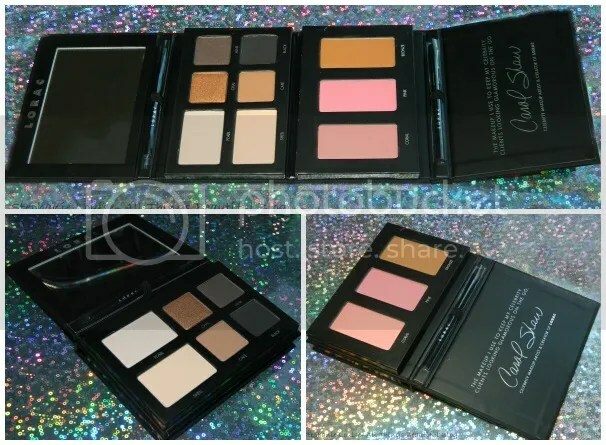 When it comes to a quick & easy eyeshadow look, palettes are unrivaled. I mean, everything you need eyeshadow-wise in one very convenient cube? Well, Lorac took it a step further (because they’re boss) & added 2 blushes, a bronzer, & a truly unique palette design. 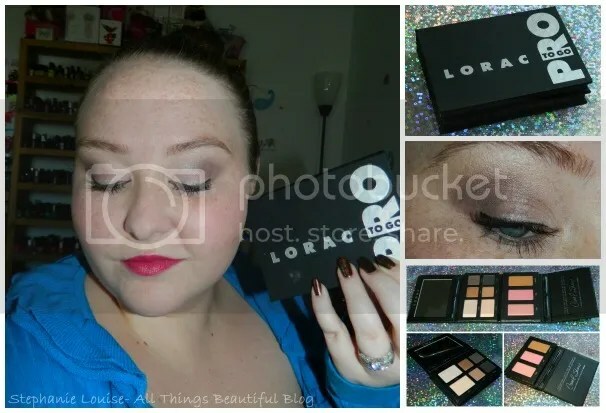 Keep reading to see my review, my eyeshadow look with video tutorial, & my overall thoughts of the Lorac Pro to Go Palette! The packaging itself is simple & very Lorac.With packaging that is identical in feel & look to the Lorac Pro original palette you’ll notice this palette folds & unfolds at different angles. How cool is that? Have it open all at one or just use it one side at a time, perfect if you’re on the go! Inside from left to right we have the nice sized mirror, 6 eyeshadows, 2 blushes & a bronzer, & 2 travel sized brushes total. Obviously this isn’t everything I’d use to get ready (mascara, lips, etc.) but that is completely okay with me! I actually very rarely use lip products in palettes, I prefer having a single to throw in my bag like a gloss or lipstick for touchups. I feel like this palette is the perfect balance of powder products & shades that I would actually choose to travel with. So for face products you have 2 blushes & a bronzer. 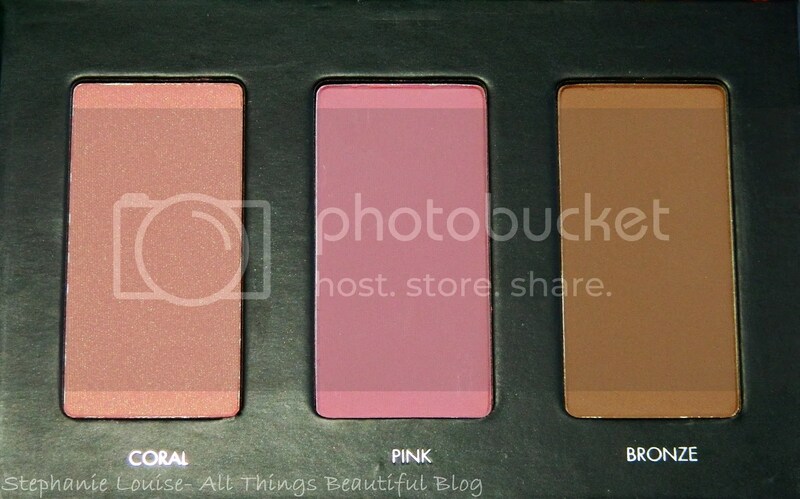 For blush you get Coral (which has some golden shimmer), Pink, & Bronze. Both Pink & Bronze are matte & I particularly like Pink as a base blush with a tad of Coral popped higher on my cheek for a bit of highlighting. 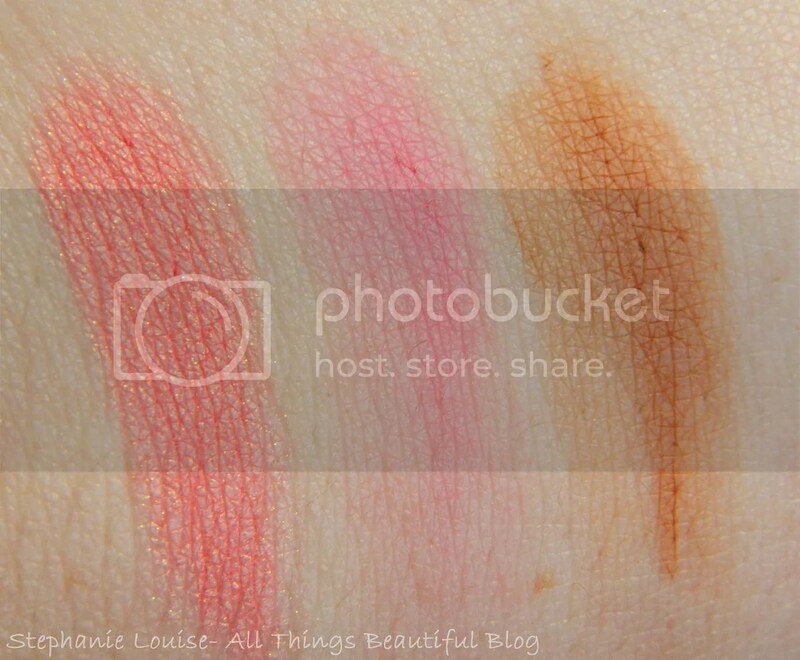 Left to right: Coral, Pink, & Bronze. 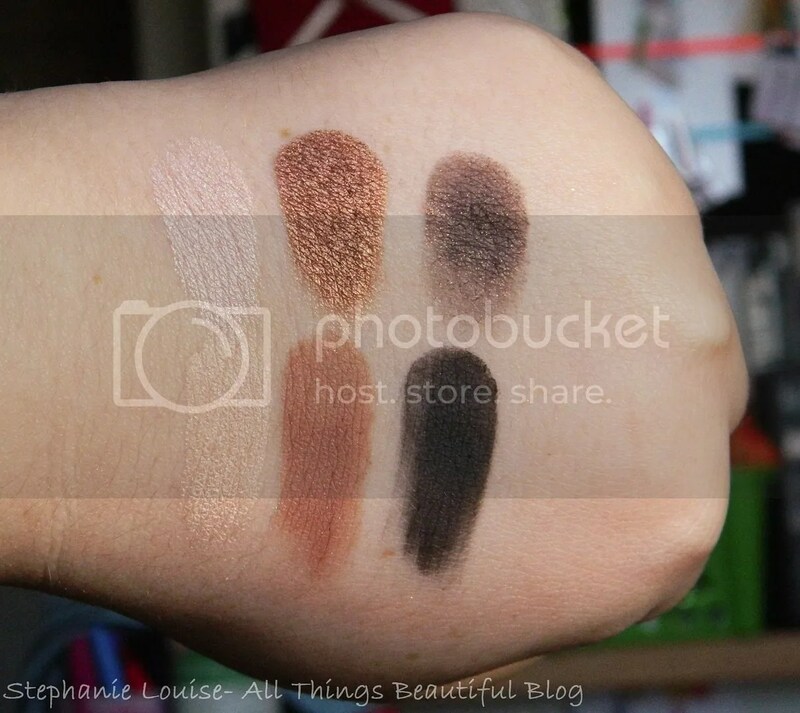 I’m extremely fair so Bronze looks a bit more orange on my hand but looks lovely & natural on my face when I use it for contouring lightly.Like i said I think the blushes are beautiful layered but also very pretty used on their own. For my personal coloring I find these shades really flattering. 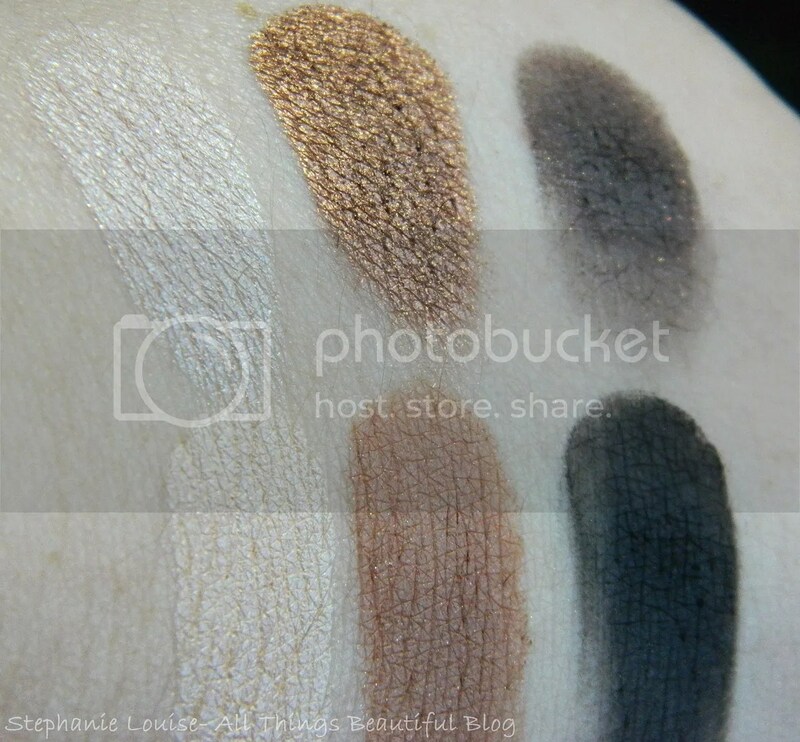 hese are also very pigmented, easy to blend, & have a nice wear time. Eye products are some of my favorite & I really do love these! 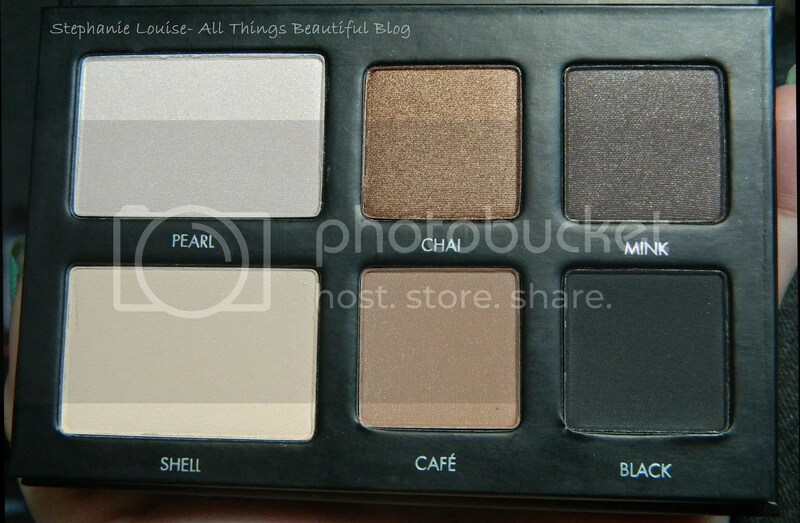 Inside this palette you receive 6 shades in Pearl, Chai, Mink, Shell, Cafe, & Black. You’ll notice the two lightest shades in Pearl & Shell are substantially larger. I’ve been kind of confused by the reviews I’ve seen because everyone says the top row s shimmer & the bottom row is matte (like the original Lorac Pro palette). This isn’t true. I’ll explain more below! Top row left to right: Pearl (off-white shimmer), Chai (metallic bronze), Mink (cool toned grey/brown taupe with golden bronze shimmer). Bottom row left to right: Shell (pale cream satin), Cafe (matte medium brown with silver shimmer), Black (matte black). 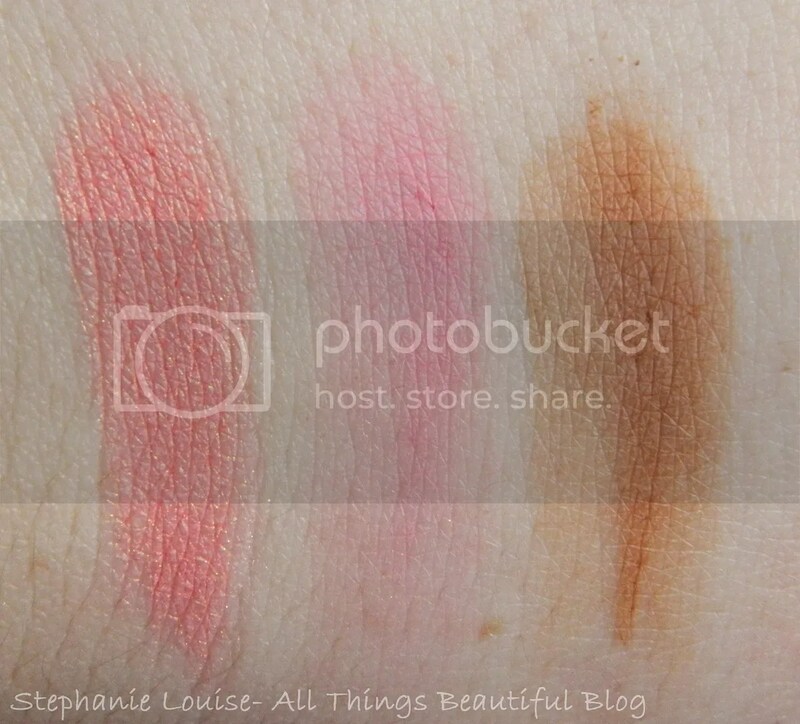 I think all of these shades are really beautiful: great pigmentation, easy to blend, soft which I prefer. You just touch your brush to them & apply, no swirling needed. I love that you get more of the two lightest shades since I use those the most. I like them both as base shades, highlight, inner corner, & even as face highlighter in a pinch. 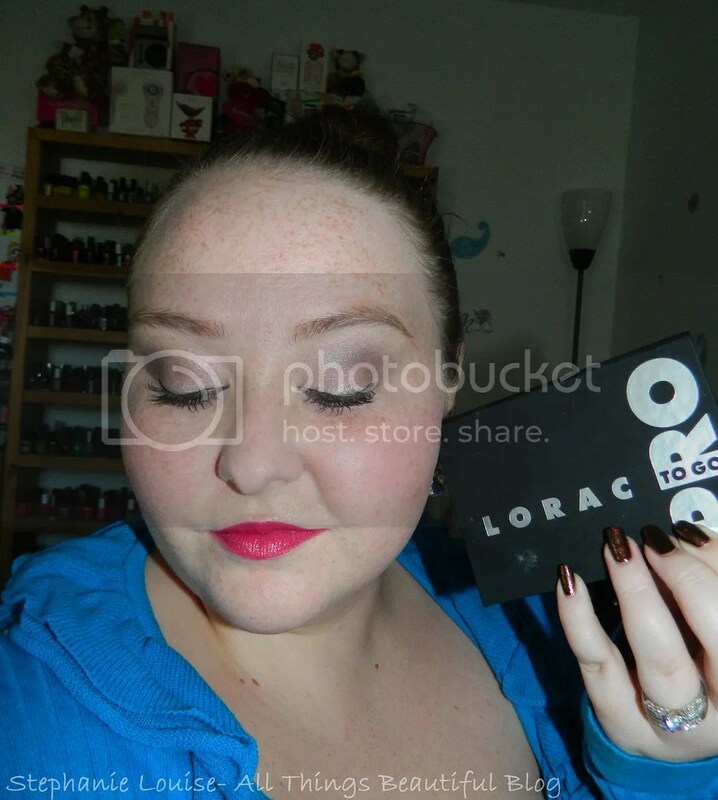 Black is the only repeated shade from the Lorac Palette which is just fine with me. I love this formula for a black & you can use it as an eyeshadow, to create depth, & even as eyeliner or to soften out harsh eyeliner. Chai & Cafe both do a great job filling the brown/bronze category with Chai being metallic & Cafe looking matte but not flat on the eye. Mink is my personal favorite, I absolutely love this shade. 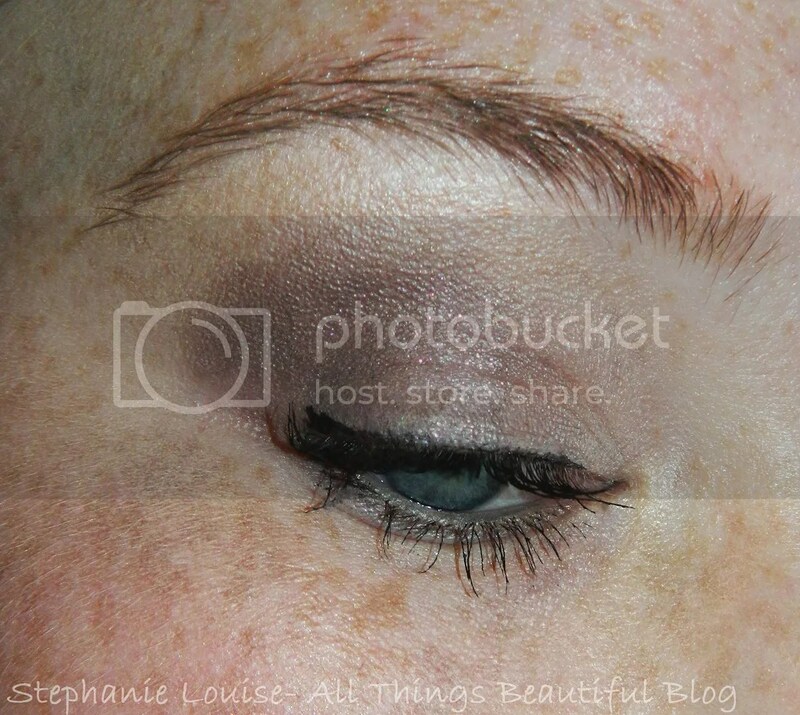 Blended out for daytime or used with a heavier hand for a smoky eye I find it really striking! So I did a Get Ready with Me video for this look & I really want to start doing more of these because I think they’re fun. I really like how this turned out. Please do remember to subscribe on youtube, I do a lot of videos over there you won’t see here! Not that I did use a little bit of the new LE Lorac Luster Drops in Amethyst (see more the video). Overall I’m really happy with my purchase &can see myself traveling with this palette this season. This would be perfect for a weekend away or even a honeymoon or beach vacation. I really love the construction & the color choices were smart. I’m a happy consumer. 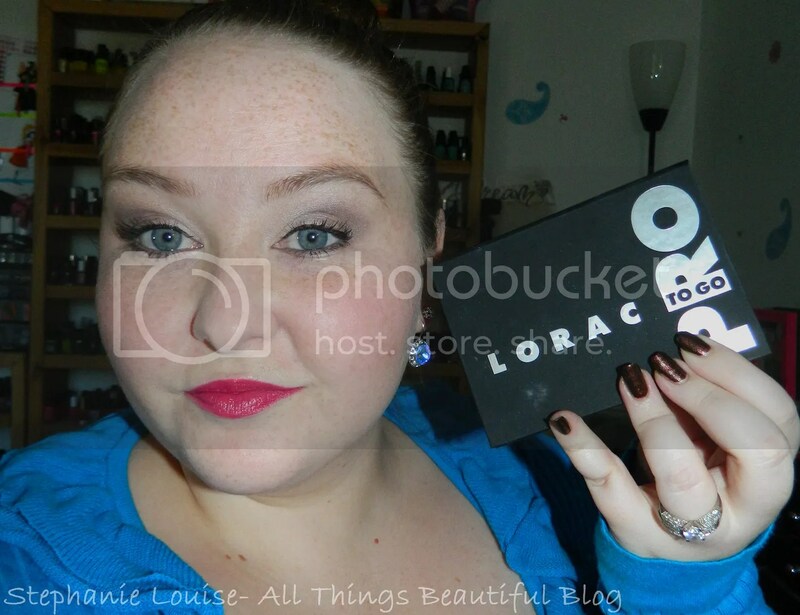 Have you tried the Lorac Pro Palette yet? What do you think? Are these shades you’d frequently use?